We had a lovely trip to the beach this past week. While I wasn’t able to bring my sewing machine, I did finish binding my Ambrosia quilt for the complimentary pattern that I am producing for quilt shops in conjunction with Robert Kaufman. (More on that soon…) I also “dyed” some Ambrosia eggs in scraps. Yes, I know I am very late for Easter but I will just be amazingly prepared for next year! I had brought 16 eggs but one piece of fabric flew off the porch with a sudden gust of wind. So now we have 15 Ambrosia eggs. 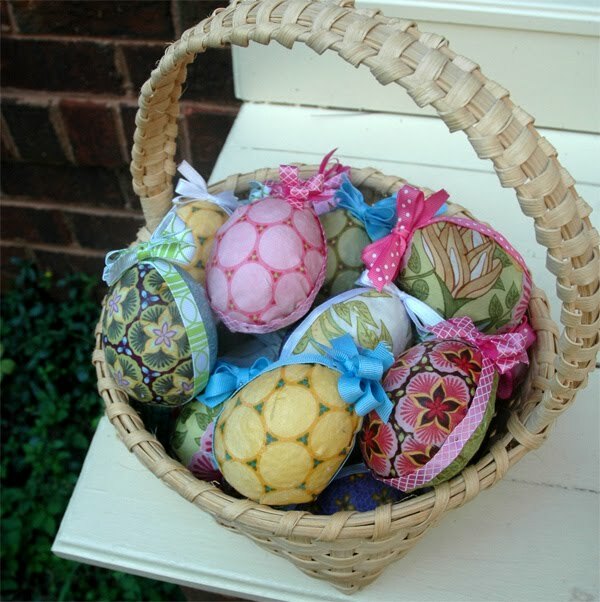 Save your scraps for spring and “dye” some eggs using this free pattern! Hope everyone is enjoying the last few weeks of summer!